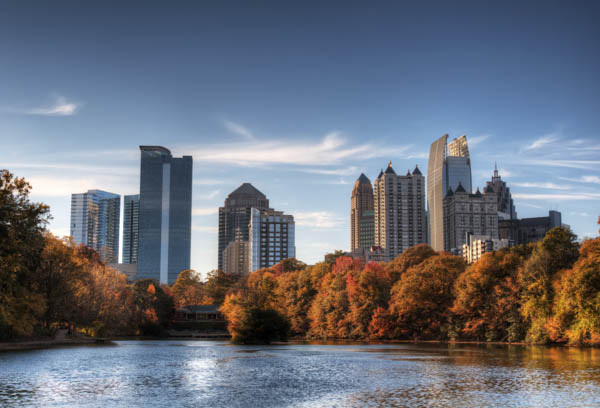 Atlanta-- dubbed the “city in the forest” and home of the original Chick-fil-A restaurant-- has everything you could want in a big city: mouth-watering cuisine, acres of green space and nightlife to spare. In fact, there may be too many great options. To help make the most of your 72 hours in the city, we’ve narrowed down our list of favorite local spots worthy of a weekend getaway. No trip to Atlanta is complete without a trip to the birthplace of the original chicken sandwich: the Dwarf House. 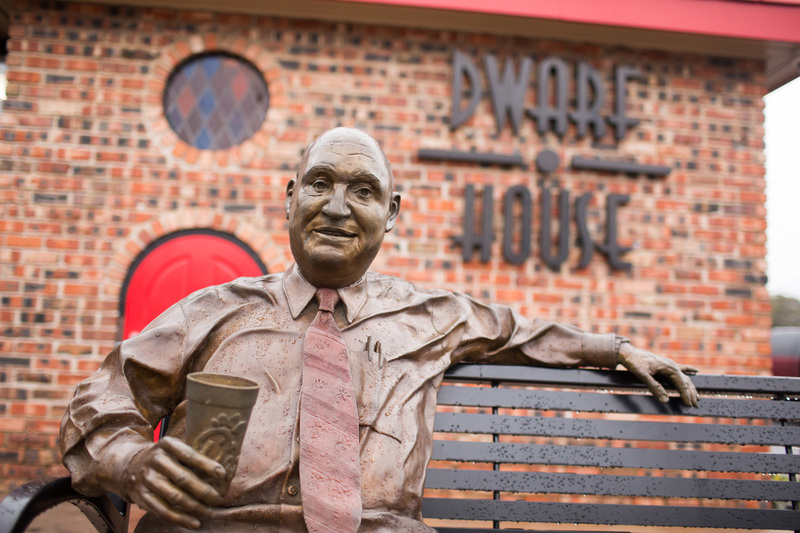 Right down the street from Hartsfield-Jackson International Airport in Hapeville, Georgia, the Dwarf House is Chick-fil-A’s take on what a diner would look like if “Snow White & The Seven Dwarfs” had stumbled upon it for breakfast. Chick-fil-A meets traditional diner food for a meal that can’t be beat. Try the Hot Brown – it will change your life. 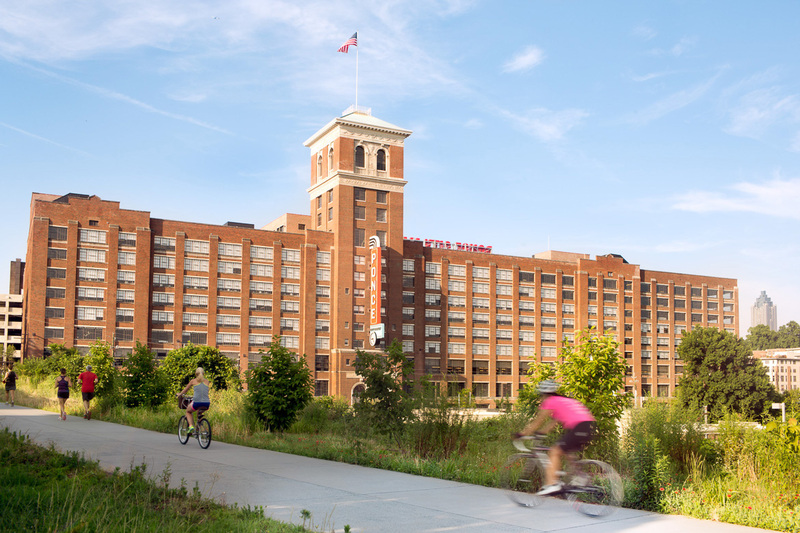 Running through Piedmont Park is the Beltline, a 22-mile trail connecting 45 intown neighborhoods throughout Atlanta. This ambitious urban redevelopment project is converting an abandoned railroad line into a linear park, and as a result, new restaurants, housing, commercial developments and public spaces are sprouting up all along its path. Portions of the project have already been completed, including the Eastside Trail, which runs from Piedmont Park to the Old Fourth Ward. Keep your eye out for King of Pops vendors along the Beltline. The premium popsicles got their start in Atlanta. Is this revitalized Sears, Roebuck & Company building a shopper's paradise or a foodie's dream? Both. 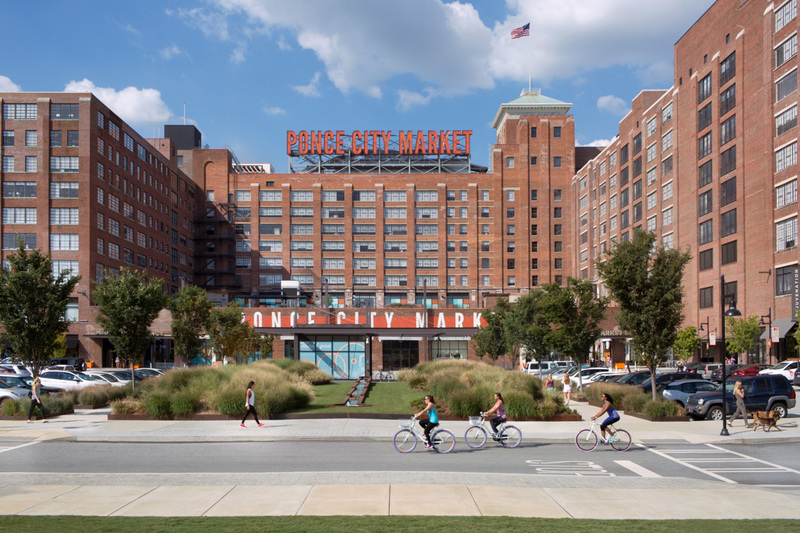 Located adjacent to the Beltline’s Eastside Trail in Atlanta's historic Old Fourth Ward, Ponce City Market is an eclectic mix of 25 boutiques and 23 restaurants. Shops range from artisan goods to bookstores to clothing retailers. Stop for lunch at the food hall -- it's quickly becoming a must-visit destination in Atlanta’s dining scene. 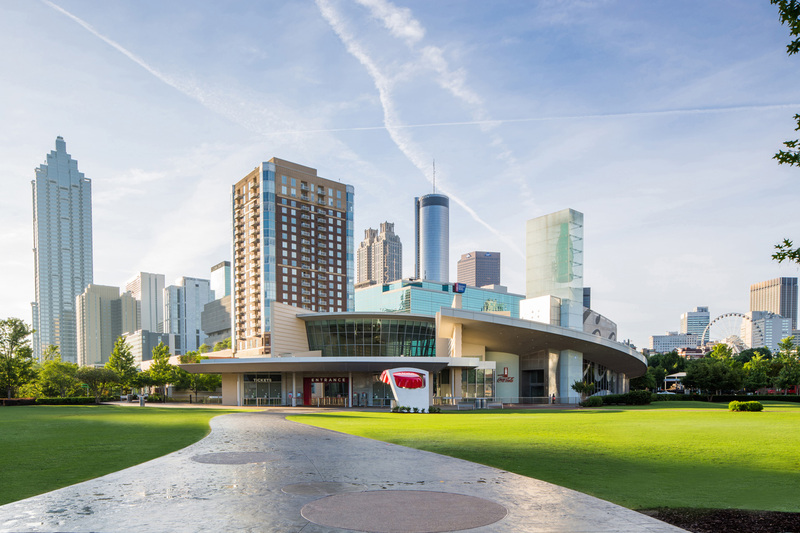 The College Football Hall of Fame in downtown Atlanta is a college football fan’s dream, honoring 1,100 of the sport’s all-time greatest players and coaches. 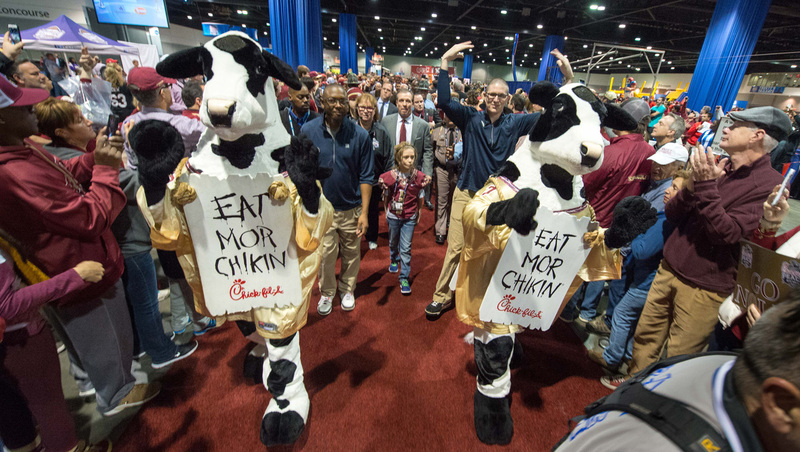 The Chick-fil-A Fan Experience lets visitors see firsthand what it’s like to be a college football player through interactive exhibits and a 45-yard replica football field they can use to test their football skills. Coca-Cola is to Atlanta what cheesesteaks are to Philadelphia, so it’s no surprise the world’s best-known beverage brand created a lasting tribute to its history and cultural influence in around the world. Part museum and part interactive experience, the World of Coca-Cola brings visitors along a journey of the company’s long and storied past. It also ends with a sweet finish: a giant room allowing visitors the chance to sample more than 100 Coca-Cola products from around the world. New Year’s weekend is fans’ last chance to enjoy the attraction’s seasonal celebration, including thousands of lights, special beverages, holiday exhibits and more. Gather with fellow football fans for a pep rally at the Georgia Aquarium. At 6:45 p.m., the band gets fired up, so don’t miss a chance sing along to your team’s fight song while surrounded by dolphins, belugas and 10 million gallons of water. Described by famed Atlanta Chef Ford Fry as an "epicurean destination," Krog Street Market in the historic Inman Park neighborhood is a go-to spot for great food. Enjoy Tex-Mex and live music at Fry's original Superica restaurant, then check out the desserts at The Little Tart Bakeshop or Jeni’s Splendid Ice Cream. Krog Street Market has a little something for everyone. 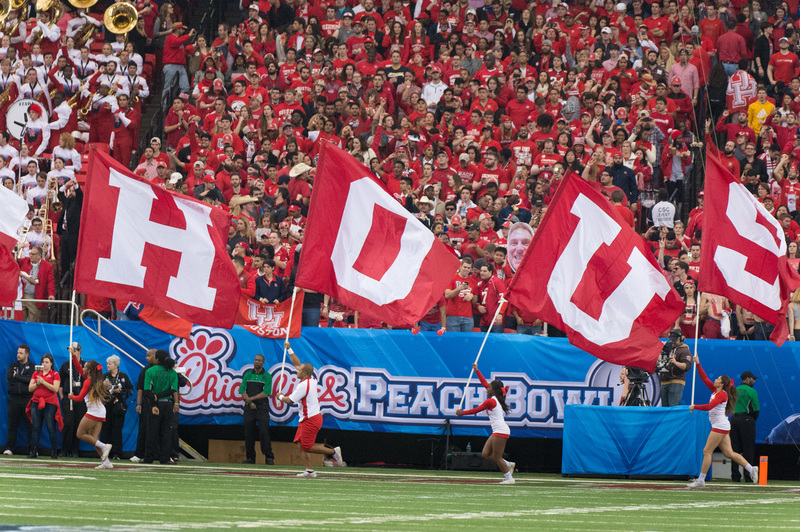 Kick off game day in the heart of downtown to experience the pageantry of floats, classic cars, cheerleaders, mascots and award-winning marching bands that make up the Chick-fil-A Peach Bowl Parade. 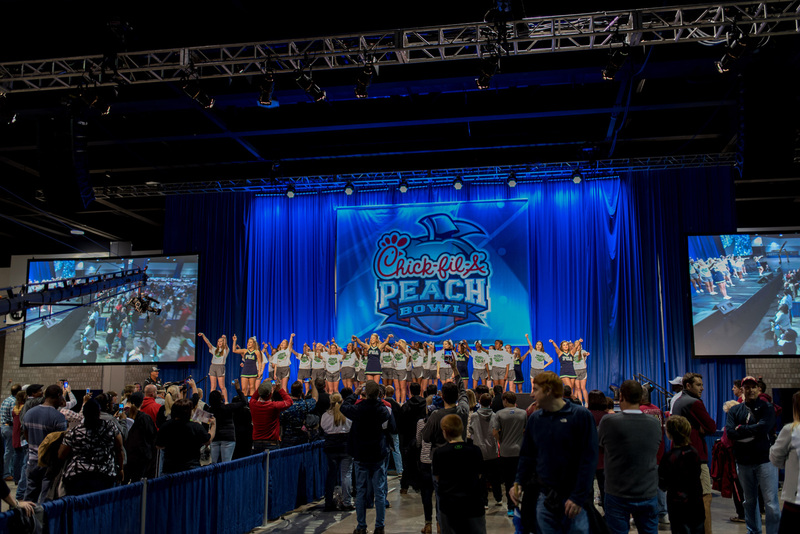 Follow the parade into the Georgia World Congress Center for the Chick-fil-A Peach Bowl FanFest, where there will be games, food and a pep rally for the Alabama Crimson Tide and the Washington Huskies. 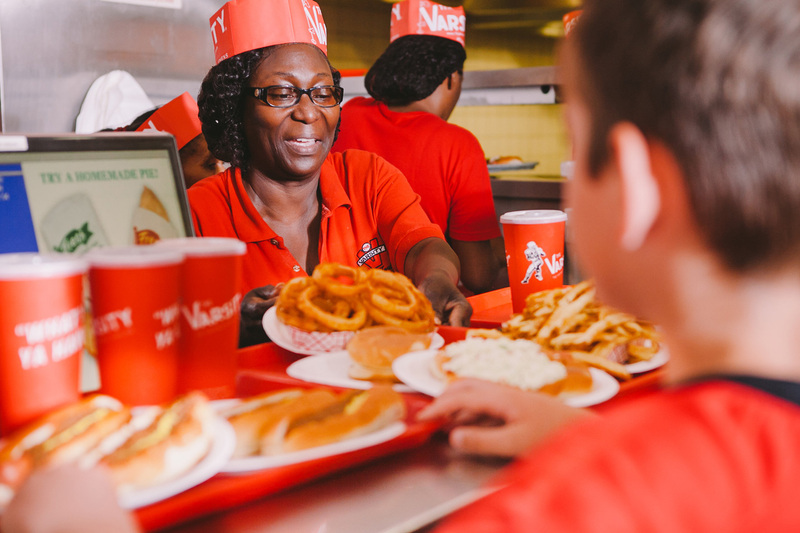 “What’ll ya have?” That’s how you’ll be greeted at The Varsity— the self-proclaimed world’s largest drive-in restaurant— which offers slaw-topped hamburgers, hot dogs, French fries, the famous Frosted Orange and more. Just down the road from Georgia Tech, this fast food pit stop is an Atlanta institution. This match-up may be the first (and last) College Football Playoff game at the Georgia Dome before the new Mercedes Benz Stadium opens, but it’s been the home of the Chick-fil-A Peach Bowl for 23 years. The Georgia Dome also plays host to the NFL’s Atlanta Falcons. While there are no shortage of ways to ring in the new year, perhaps the most iconic is the Peach Drop at Underground Atlanta, a tradition since 1989 which includes live music, entertainment, food and yes, an 800-pound peach that drops at the stroke of midnight. Check out the latest events here. Take the kids for a ride on Priscilla, that runs atop Lenox Square Mall in Buckhead. The seasonal event has been chugging along every holiday since 1953, when it debuted at the Rich’s downtown store. An Atlanta tradition, the last day to ride it for the season is January 1. Anybody who really loves shopping will want to check out Phipps Plaza while visiting Atlanta. Located in Atlanta’s Buckhead neighborhood, this is a shopping mall in the traditional sense, with a long list of high-end retailers and restaurants. If you prefer open-air shopping, Atlantic Station is a sustainable development just outside of Midtown large enough to be considered its own neighborhood, complete with winter ice-skating rink. 3 p.m.: Museums – any of them! If you love a good museum, you’re in the right place. 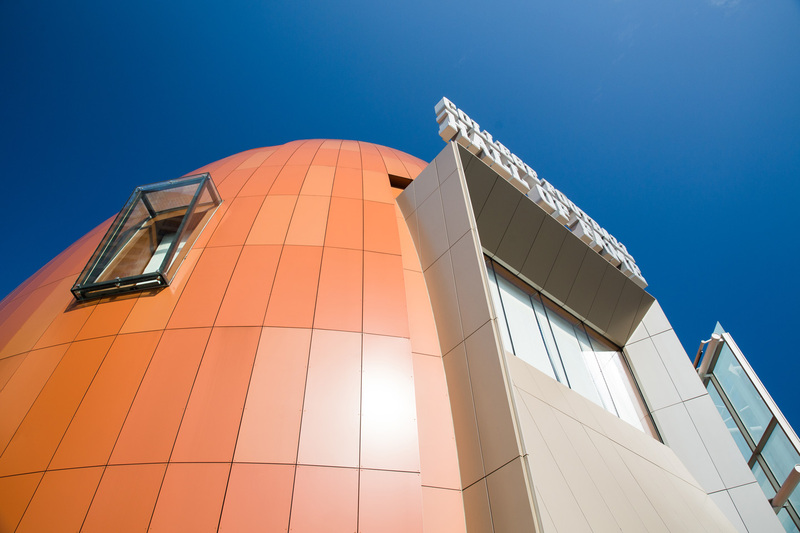 The newest of Atlanta’s museums, the renowned Center for Civil and Human Rights shines a light on the city’s rich civil rights history. For a closer look at nature, the Fernbank Museum of Natural History offers a constantly changing lineup of permanent and revolving exhibits, including its newest attraction, WildWoods, which gives guests direct access to Fernbank Forest—one of the largest old-growth urban forests in the country. Love the arts? 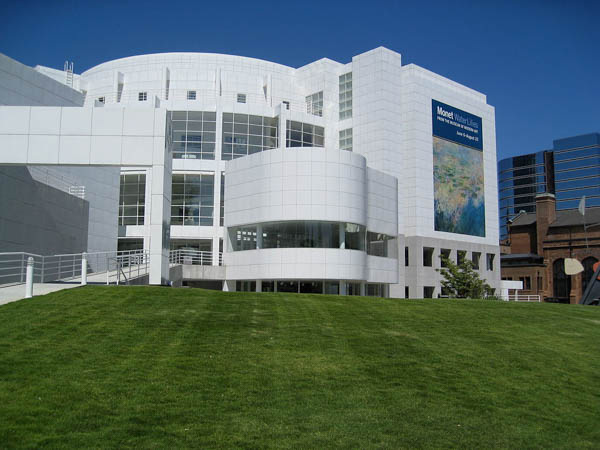 Visit the High Museum in the heart of Midtown. It features thousands of works of both classic and contemporary art in its permanent collection. Any trip to Atlanta should end with a visit to one of its acclaimed restaurants – and New Year’s Day should make finding a table a little easier. 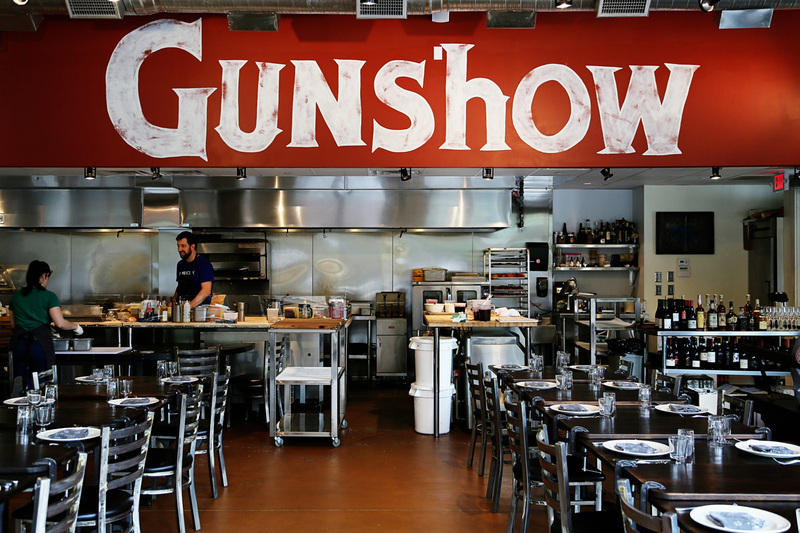 While Atlanta’s culinary chops could fill a list a mile long, don’t miss Gunshow, owned by “Top Chef” finalist Kevin Gillespie, or JCT Kitchen, owned by Atlanta restaurateur Ford Fry. If ethnic fare is more your taste, travel just north of the city to Buford Highway, which boasts authentic international cuisine from the city’s most diverse communities.